Last week I visited Sunriver with my daughters. It was a nice get away, thank goodness for great friends who let us use their Sunriver home for free. One of the days we were there we drove into Bend to look around and we found two great resale shops. One was Kaleidoscope, a resale shop with a large variety of nice clothes and a great collection of crafts from local artists. 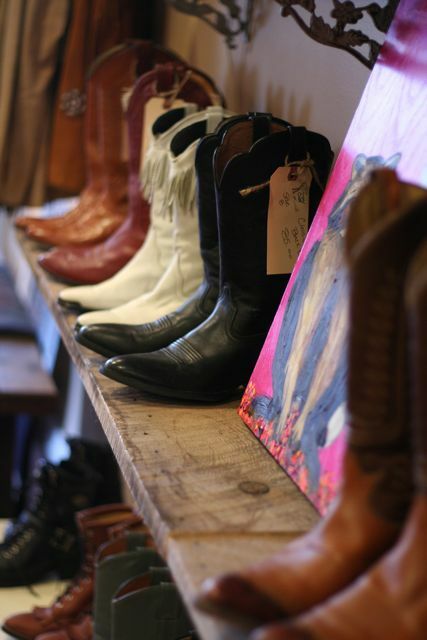 Another shop we found was Cowgirl Cash, which is a shop full of vintage and pre-enjoyed cowboy boots. 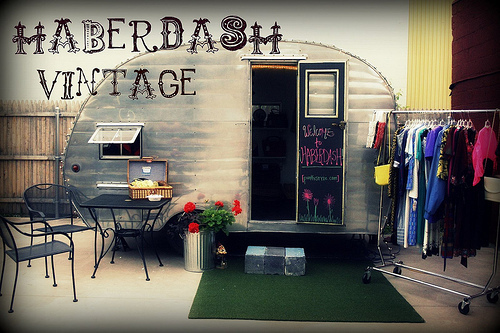 If you love cowboy boots, this is the place to check out. When we walked up they had two little baskets outside the door with items that had been marked down to $10. 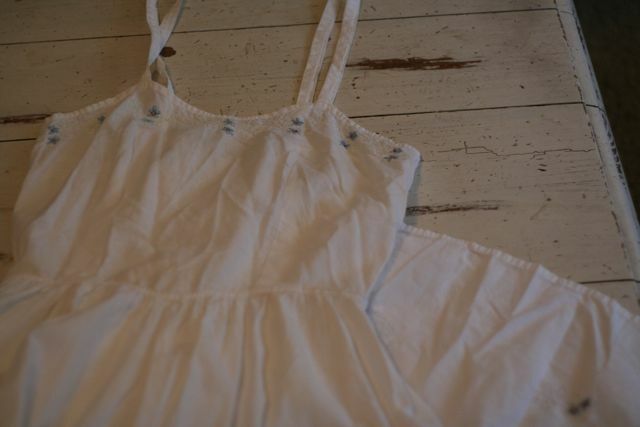 I found this cute little dress, complete with pockets and sweet flower detail. So the next time you are in central Oregon, check out the resale shops in Bend. You are sure to find something you love. 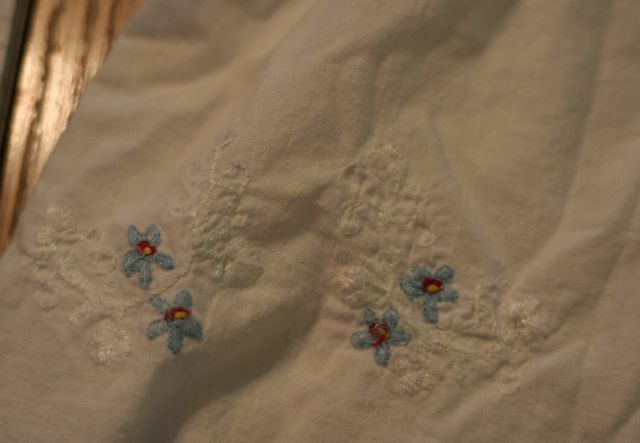 This entry was posted in Resale Shops, vintage on August 17, 2010 by Deanna.